THE BEST VALUE IN ALL OF BEACHSIDE, KAILUA! 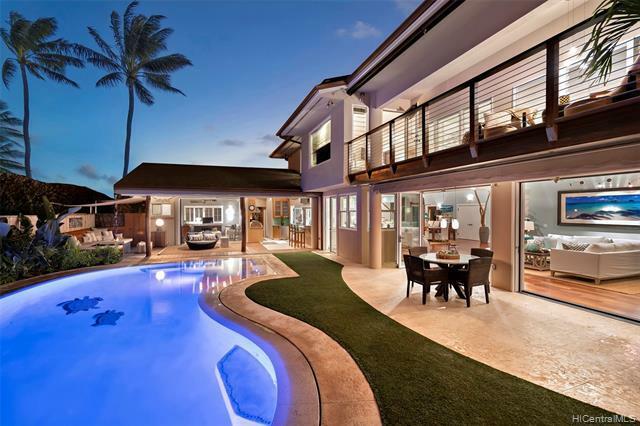 Live a lifestyle like no other w/gated beach access @ your back door to the sandy shores of famed Kailua Beach! 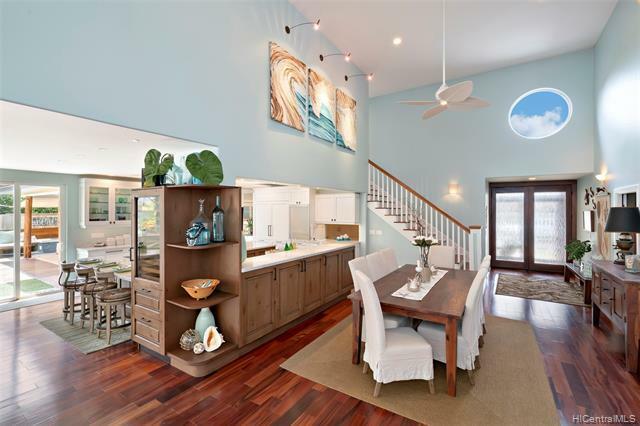 Fabulous 6-bdrm, 5.5 bath coastal inspired home w/ character, space & timeless flexible floor plan offers a true sense of indoor/outdoor living! 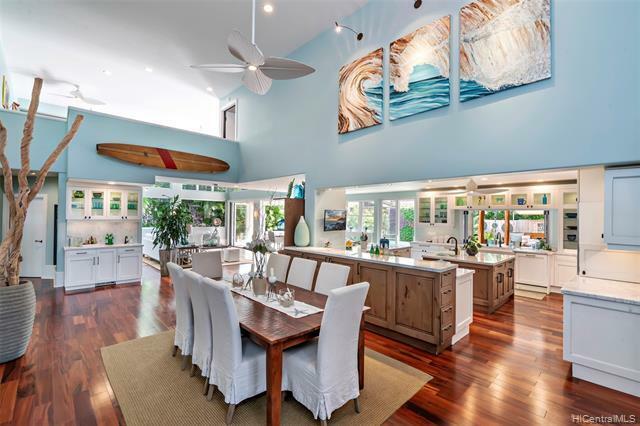 Soaring ceilings, formal & casual living areas, dream gourmet kitchen designed by Details International + pool cabana w/ bath, outdoor shower, covd lanais, gas fire pit & BBQ island overlooking beautiful salt water pool & more! Master suite offers a private balcony, luxurious bath + roof top garden! Multiple bdrm suites offer flexibility. 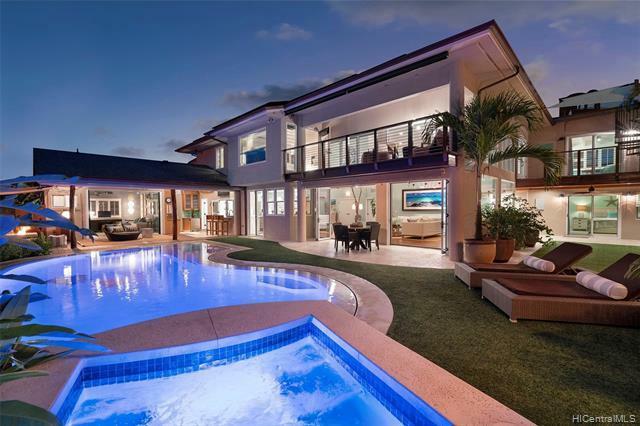 Tropical landscaping w/ tiki torches & a stunning living garden wall complete this extremely custom home setting a new benchmark in luxury living.